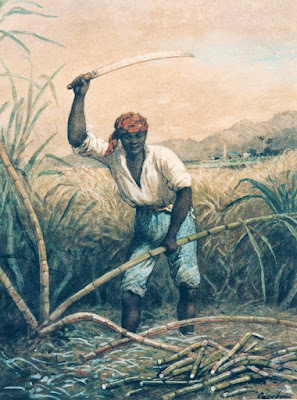 Sugar cane is introduced in Trinidad circa 1542 by Spanish residents, but only for their own sugar and rum production. For the next 230 years, sugar plays no major economic role. 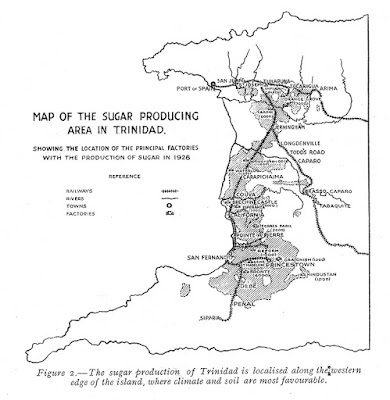 Tobago’s sugar plantations are developed to a high degree much earlier than Trinidad’s. 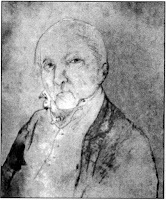 In the 1780s, French migration to Trinidad begins after Roume de St. Laurent, a French Creole from Grenada, visits Trinidad. As a result, the Spanish government issues the Cedula of Population of 1783, which gives crown land concessions to Catholic settlers. 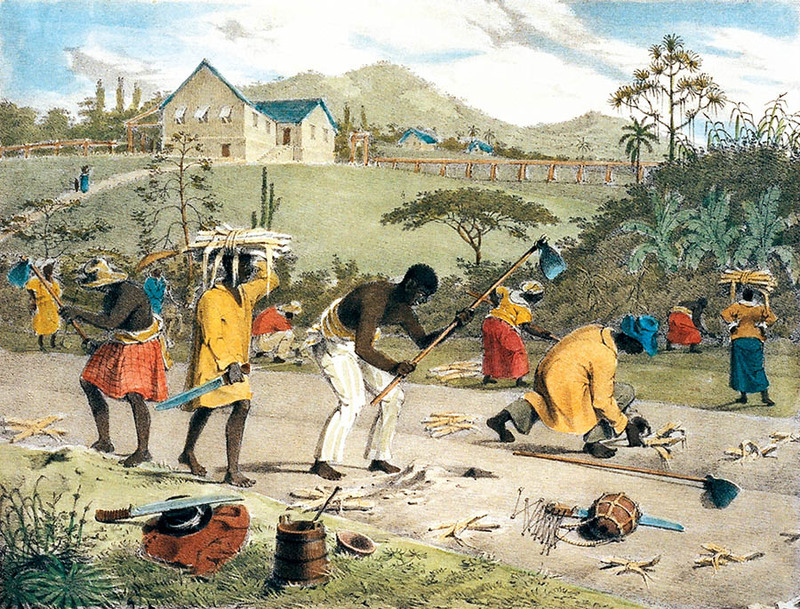 French planters from the other islands with their African slaves develop sugar and cotton plantations in Trinidad. 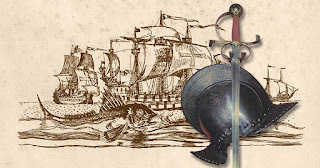 In 1797, the British capture Trinidad from the Spanish crown, and the island remains in British hands until Independence in 1962.
introduces the Otaheite cane to Trinidad. 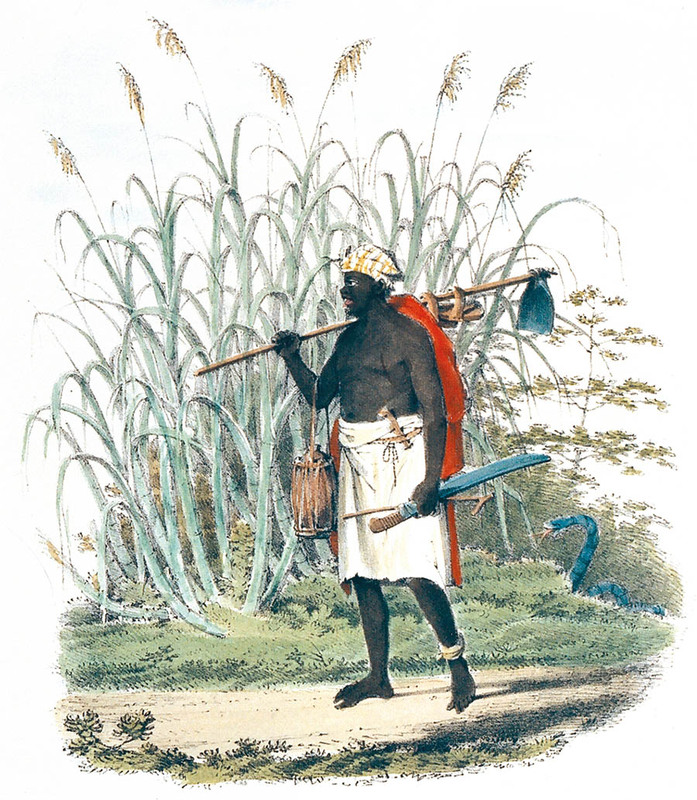 In 1782, a Frenchman by the name of St. Hilaire Begorrat introduces the Otaheite variety of cane, which flourishes in Trinidad. The sugar industry starts in the Port of Spain area. The first sugar mill is erected in 1787 by a Frenchman, Picot de la Peyrouse, where Lapeyrouse Cemetery is today. Sugar becomes the leading export good and continues to be so, until 1897 when cocoa takes over. In 1799, Trinidad produces 2,700 tons of sugar. By 1808, there are 272 sugar mills operating, of which 257 are animal-driven and round in shape, producing 9,500 tons of sugar. Through a process of rationalisation, the number of mills dwindles to 101 by 1882, producing 53,000 tons of sugar. The technology of sugar manufacturing changes over time. In the industrial revolution of the 19th century, technological advancements like the vaccum pan and centrifuges lead to more centralisation in sugar manufacturing. Smaller factories become uneconomical. In 1872, the first central sugar factory, Ste. Madeleine, is completed. In Tobago, the sugar economy ends in the 1890s due to the collapse of the British firm Gillespie &amp; Co. of London. 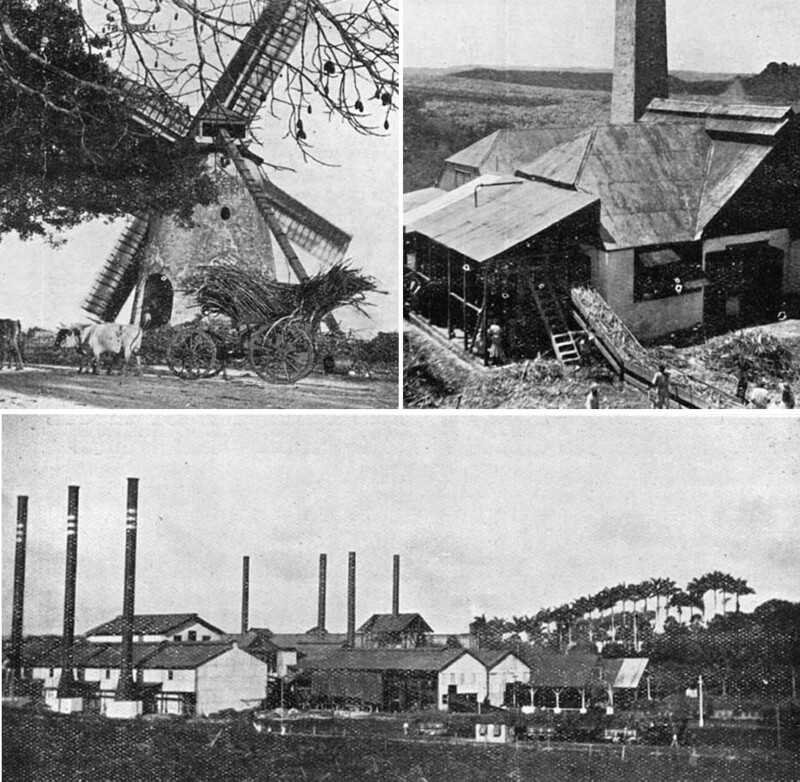 Top left: Windmill at Lowlands estate, Tobago. Top right: Muscovado factory with hand-fed conveyor belt. Below: 1960s modern sugar factory. Left: Interior of a boiling house, Trinidad, 1820s. Right: Interior of a boiling house, Tobago, circa 1880s. 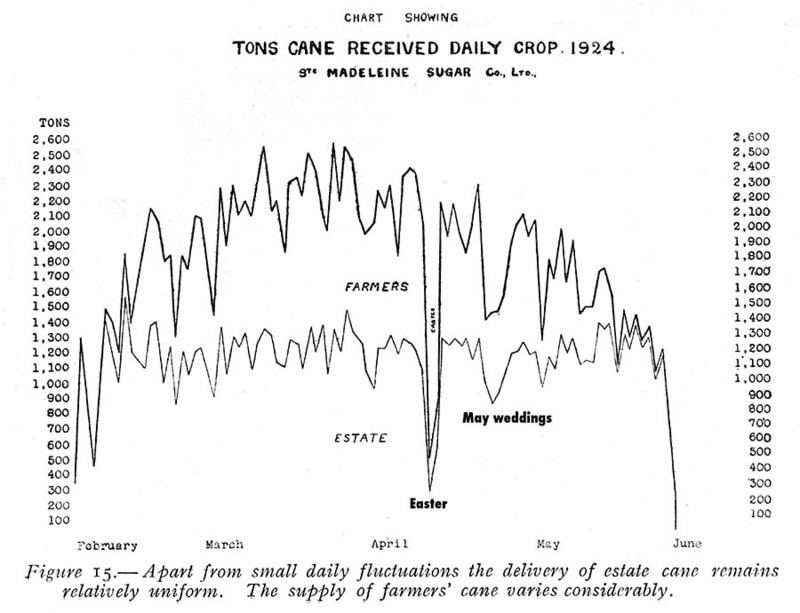 Population and crop statistics of the late 18th century. The abolition of slavery changes the sugar industry permanently. Most of the former slaves abandon the plantations and either migrate to the towns seeking employment or settle on crown lands to grow food crops. A few skilled Africans remain on the plantations, mainly in the sugar factories which require the services of carpenters, masons, boiler-men, carters and factory operators. The African presence on the estates continues, although in diminished numbers. 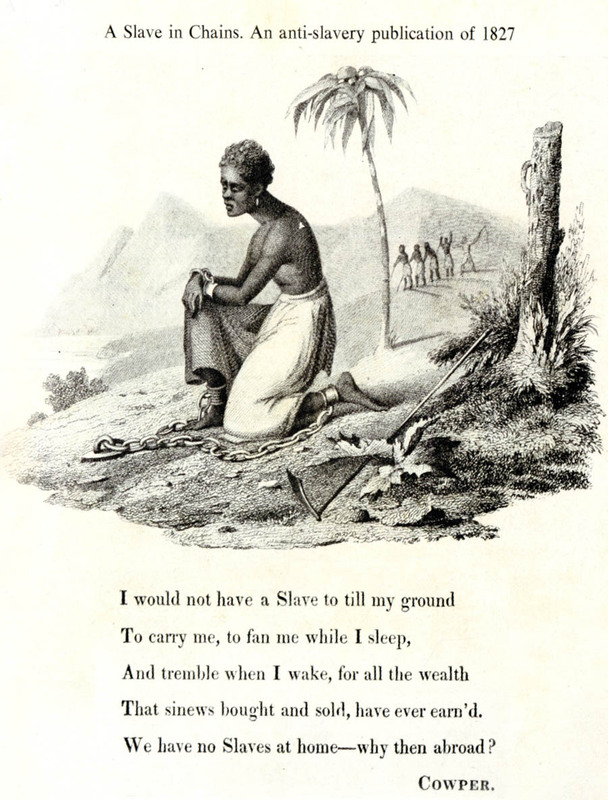 In 1834, slavery is abolished throughout the British Empire. For another four years, the former slaves are being kept as paid "apprentices" on the plantations, and in 1838 they are given full freedom. From the 1840s onwards, Trinidad sugar comes under increasing competitive pressure in the UK markets. Reasons for this are a) the abolition of slavery in the British Empire, but not in other territories such as Cuba or Brazil, b) the abolition of import duties from non-British sugar and c) the displacement of cane sugar by beet sugar from the European continent. 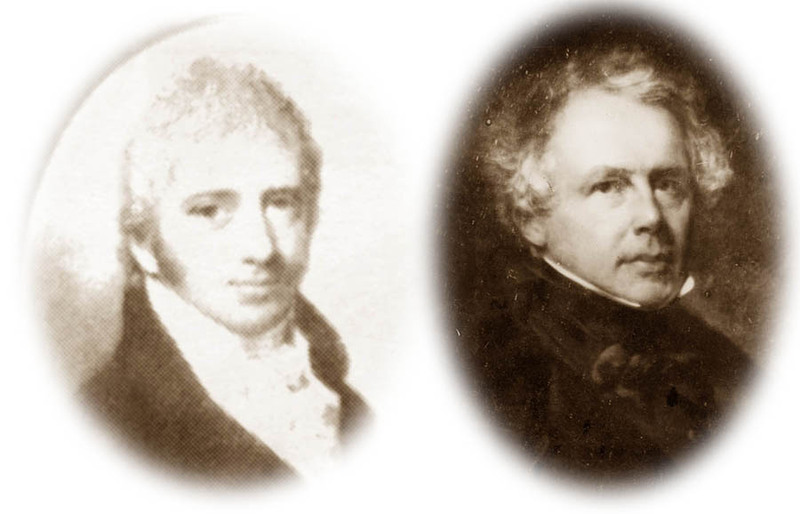 Left: James Eccles, father of William Eccles and Rosina Burnley. and becomes the largest planation owner in Trinidad. 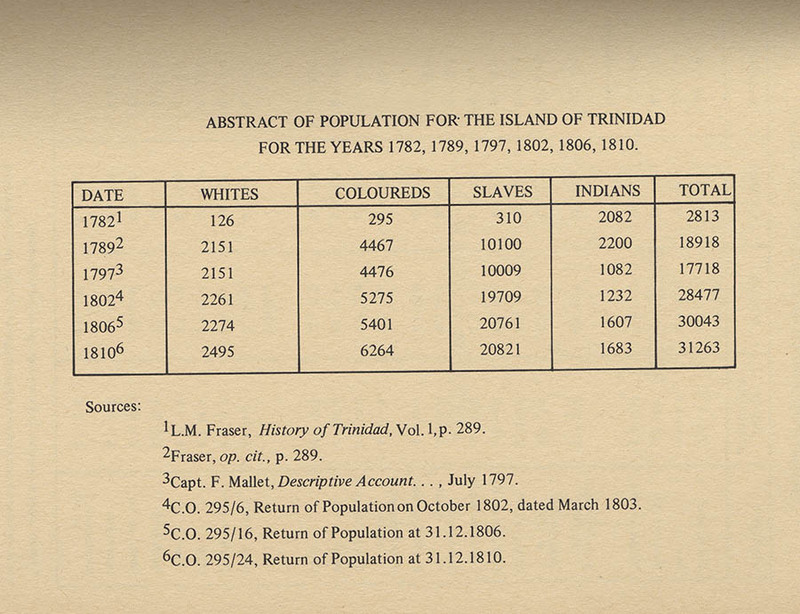 In 1845, the first ship with indentured workers from India reaches Trinidad. The new arrivals are quarantined on Nelson Island and thence allotted the sugar estate on which to work for a period of five years (women for three years). Until the end of indentureship in 1917, approximately 144,000 people come from India. Many choose to stay after their indentureship contracts are over and found families in their new home country. 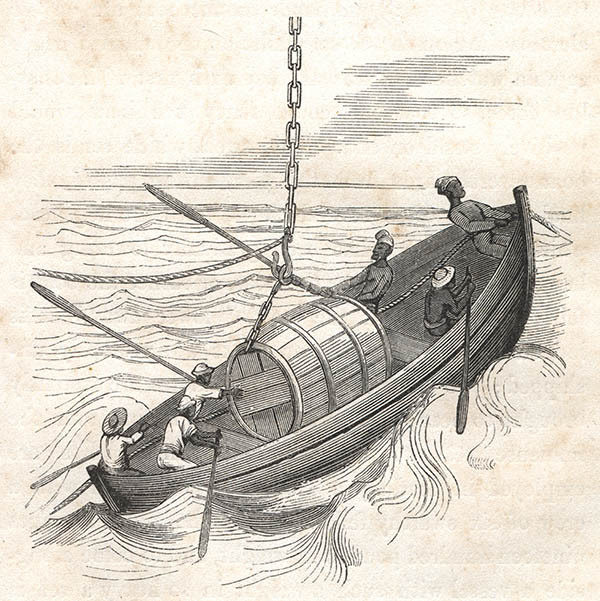 In 1846, sugar planters privately charter a ship to bring 219 Madeiran immigrant labourers to Trinidad. They are put to work on the more rigorous but better-paying sugar estates, but the harsh conditions of tropical sugar plantations prove to be too much for them. Some leave for the cocoa estates while others abandon plantation labour altogether and turn to petty shopkeeping. Other ships arrive later in 1846 and in 1847. 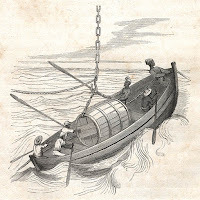 The Portuguese are not compelled by law to indenture themselves and Madeira does not prove to be a viable source of labour. After 1847, Portuguese immigration is no longer considered a solution to the planters’ predicament and the Madeirans are followed by two groups of Asian indentured labourers—the Chinese and the Indians. 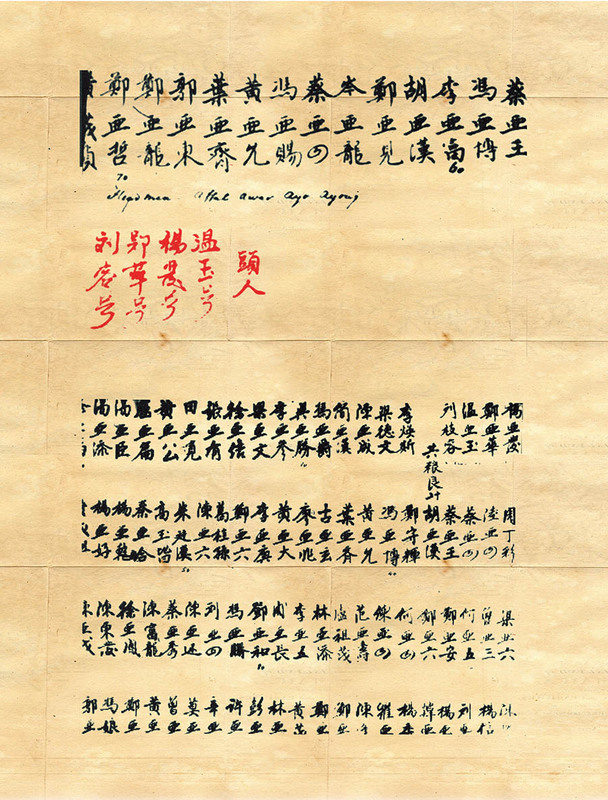 Between 1851 and 1969, 2,645 people from China arrive. The majority of the Chinese immigrants are male, and tend towards commerce rather than agricultural labour. 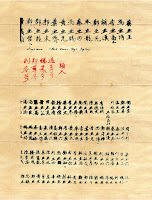 This, combined with the high cost of transport, leads the Colonial Government to discontinue Chinese immigration. At right is the partial passenger list of the “Fortitude”, the first ship to bring Chinese immigrants to Trinidad in 1806. Between 1870 and 1895, £339,000 is invested by the Colonial Company (later Usine St. Madeleine) in its machinery and transport facilities in Trinidad and British Guiana. 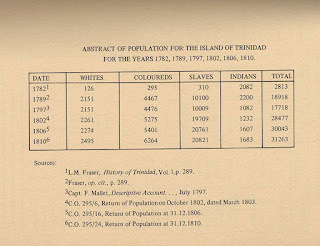 To this figure is to be added the original cost of the Trinidad factory, Usine Ste. Madeleine, £213,000. One small estate, Palmiste, between 1883 and 1894 spends £52,600 in modernising its factory and transport facilities. These investments reduce the production cost of sugar from £8 to £3. 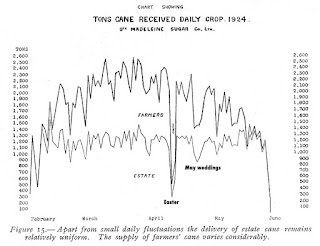 However, not enough investment in the scientific knowledge about cane cultivation is made into the cane farming community, which by the 1920s supplies 40% of canes to the factories. Houses and buildings fall into disrepair: a huge omission on the supply side of the sugar making process. The cane cutter by Michel Jean Cazabon. Cazabon, one of the earliest recorders of Trinidad’s visual history, captured what may well be the earliest image of an cane cutter in this water colour rendered in the 1850s or 60s. Sir Neville Lubbock, Chairman of the West India Committee and a Director of the New Colonial Company Ltd. (later Usine Ste Madeleine), hits upon the idea of having workers on the sugar estates grow canes on idle lands of the sugar company. 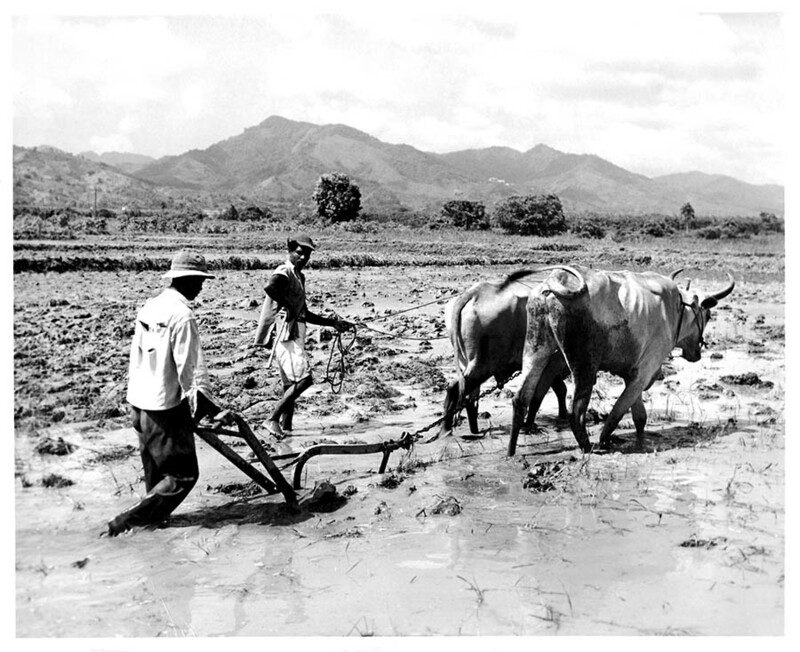 In 1882, eight men accept parcels of abandoned lands and become Trinidad’s first cane farmers. 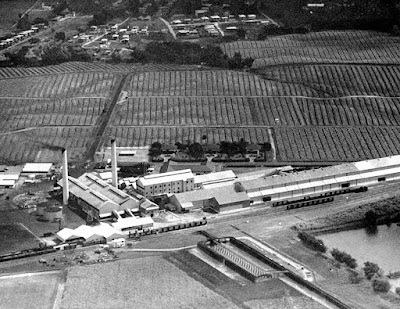 In 1937 the English Company of Tate & Lyle purchases a number of small estates in Central Trinidad and sets up their headquarters at Brechin Castle in Couva. As a large international conglomerate Tate & Lyle soon becomes dominant on the landscape, absorbing most of the smaller sugar factories. Between 1920 and 1927, over 9,000 Indians are repatriated. The total agricultural population is about 96,000. The development of the oil industry and road building begins to increase pressure on the supply of labour. Aerial shot of Brechin Castle sugar factory in the 1950s. The 60 hp Caterpillar tractor, imported by Charles Massy since 1924, starts to be deployed in the cane fields for ploughing and grading. Manure is vital for the fertilisation of cane fields, and sugar companies continue to have large herds of cattle and goats. Additional income from meat and dairy adds to the companies’ bottom line. Mules, horses and donkeys continue to be used for carting and manure. In all, tens of thousands of animals are kept by the sugar companies (in 1955: more than 130,000 animals). In the 1910s, the Indian water buffalo and the zebu were received from India. The 1930s are years of considerable turbulence in the colony. Workers in sugar and in oil revolt against low wages and poor working conditions in both these industries. The sugar workers are led by Adrian Cola Rienzi (Krishna Deonarine), a young lawyer from San Fernando. In November 1937, the All Trinidad Sugar Estates and Factory Workers Trade Union is formed, led by Rienzi. Union representation sees considerable improvement in the lives of the sugar and oil workers. Union leaders succeeding Rienzi include Anthony Geoffroy, Bhadase Maraj, Basdeo Panday and Rudranath Indarsingh. During the Second World War a major section of the work-force is siphoned away from sugar to the better-paying US bases at Chaguaramas and Waller Field. This exodus from the plantations creates shortfalls in sugar production and is a serious blow to sugar manufacture. Production picks up once again after the War and Tate & Lyle becomes a major player in the international sugar market. by the trade unions in the 1970s. The post-war era is a period of heightened nationalism when Trinidadians and Tobagonians seek independence as well as ownership of their resources. Independence comes in 1962 but both sugar and oil remain under foreign control with little sign of changing. This state of affairs is largely responsible for the Black Power uprising of February 1970. At the end of this uprising the government is forced to make changes in the direction of a greater share in the national economy. 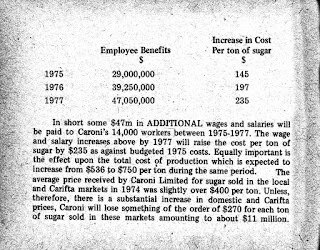 One result of this change is the government’s purchase of Tate & Lyle’s Caroni Limited holdings headquartered at Brechin Castle in 1975 under the name Caroni (1975) Limited. The Caroni Distillery is established in 1918. In 1975, it becomes part of the Government Holdings of Caroni (1975) Limited’s rum division called Rum Distillers Limited. In 2001, Government sells its 49% holding to Angostura. A year later, with the impending closure of the sugar industry in Trinidad and Tobago, Caroni Distillery loses its ready source of local molasses and is closed. Today, Angostura remains the only distillery in the country and has to import its molasses for rum production. Like our sugar, it comes mainly from Guyana. eventually contributing to its demise. 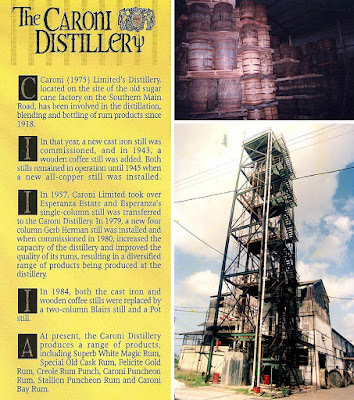 As a national company, Caroni (1975) Ltd continues to produce its traditional brands of sugar, rum, molasses and bagasse. In an effort to diversify, new programmes are introduced such as shrimp farming at Orange Grove, livestock rearing at Morne Jaloux and Rio Claro and citrus cultivation at El Reposo and Tableland. But these initiatives do not succeed, mainly because the management structure remains unchanged and decline is the inevitable result. Higher wages in oil continue to attract the best-trained technicians away from the sugar industry, and the newly established Point Lisas Industrial Estate, adjacent to Brechin Castle, contributes to this talent drain. The sugar industry dies a slow but sure death. 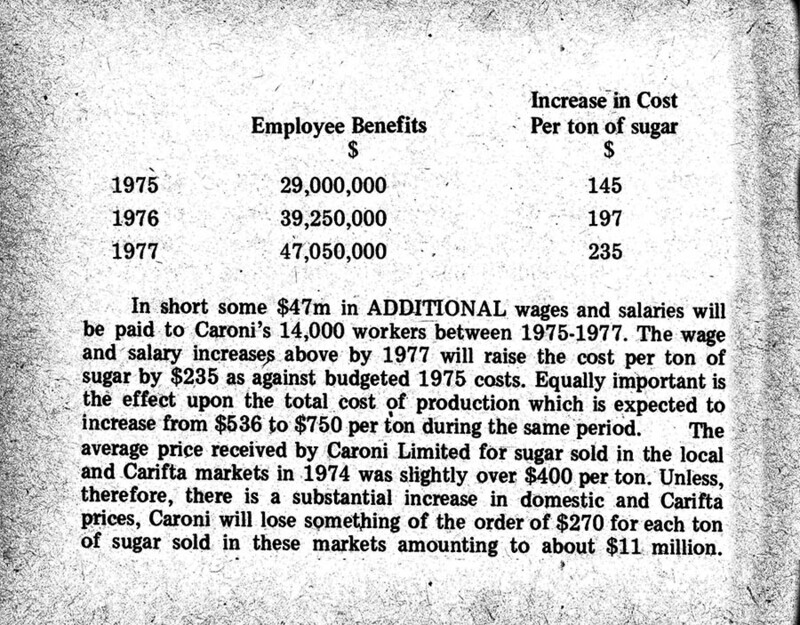 In 2003 Caroni (1975) Ltd is closed, thus ending the long history of sugar in Trinidad and Tobago. There are sad consequences of this closure. 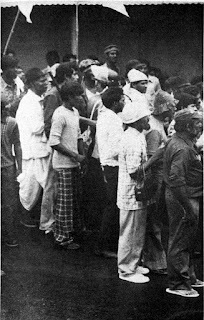 Some 20,000 workers suddenly are unemployed, leading to social displacement in the plains of Caroni and Naparima. The established way of life of the cane farmers comes to an end and considerable re-adjustment has to be made. Roads and traces in the sugar areas are handed over to the County Councils which are ill-equipped to take on these responsibilities. The many recreation centres which had been maintained by the sugar company fall into disrepair and are, like the factory itself and indeed Sevilla House, vandalised. At the same time some 75,000 acres of sugar lands are made available to the State for its own purposes. A good deal of these lands is later devoted to housing estates. Thus ends the era of sugar cultivation in the history of Trinidad and Tobago. Great informative site especially for young researchers as it allows them the opportunity to explore Caribbean based topics. As a young researcher like myself, many millennials may be unaware of the sugar revolution in Trinidad during the 16th - 18th century. 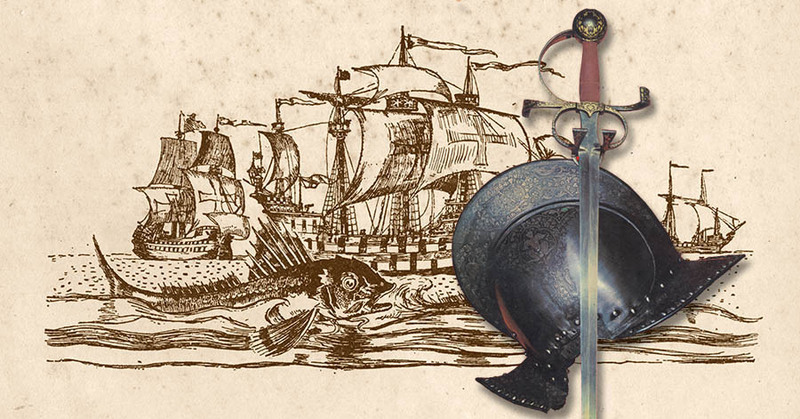 Therefore, this site provided researchers with an exceptional history of the timeline of the sugar revolution and displayed interesting photos based on that time period. This site also allowed easy navigation for viewers to manoeuvre their way across the site. Additionally, I also loved the added sites for researchers to explore more about relevant topics of choice.